The Yankees had their first two spring training games this weekend and we are excited actual baseball games are back! Topics include the Manny Machado signing in San Diego, how it might impact the rest of the free agents on the market, and if Marwin Gonzalez would have been a better fit for the Yankees than DJ LeMahieu. Aaron Hicks signed a 7-year extension with the Yankees. 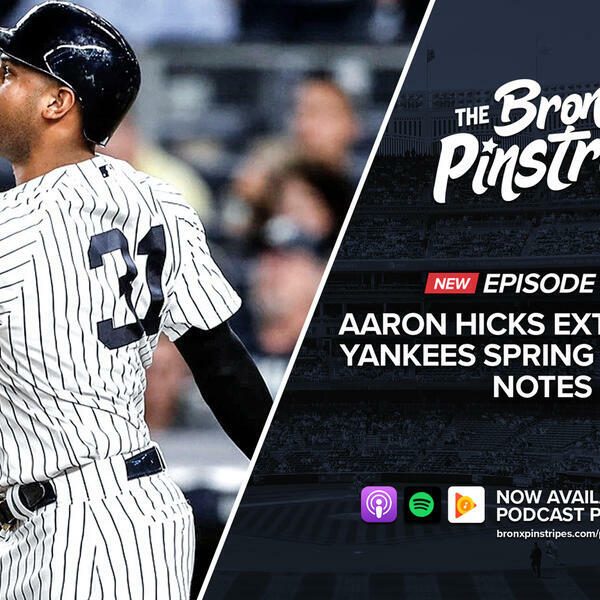 We discuss why this is a steal for the Yankees, plus spring training news and notes like the first base battle, Luis Severino’s comments about Jacob deGrom, and more. Today’s show sponsors are Robinhood (sign up at bronx.robinhood.com) and SeatGeek (download the mobile app and use code BRONX).